Are you moving to Australia as a British Expat? If you are moving to Australia as a British expat, it’s likely that you’ve been giving your child’s education some serious thought. A complete online British education is becoming an increasingly popular way for students to continue to excel, in the same style of learning as home, without the high tuition fees. My Online Schooling was established in 2016, and rapidly became one of the UK’s fastest growing online schools. 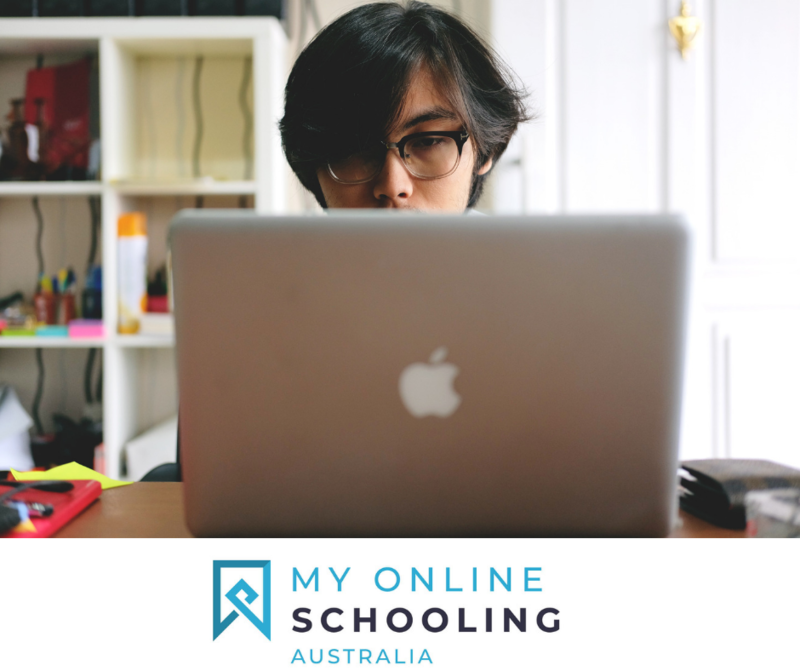 In order to fully support our pupils in the Southern Hemisphere and Central and East Asia, we are proud to announce that we are opening of My Online Schooling Australia. This school will be based in Melbourne and will be opening in March 2019 and we are now taking enrolments for this year. Our school provides pupils with a supportive and flexible online British education. Current pupils originate from around 20 different nations, from the USA, to the UK, to Japan. The new Melbourne base will allow students to access their schooling during normal school hours, for those in Central Asia, the Far East, Australia, New Zealand, and the Pacific time zones. My Online Schooling provides a complete British education online through live lessons, taught by qualified teachers. This is exactly the same level and quality of education that a student would receive in a UK secondary school. Below, we answer some of your Frequently Asked Questions, so that you can see if online British schooling could be the solution for giving your child the best possible education. How much does online schooling cost? Australian private schooling fees cost in the region of $18,000-$40,000 a year. My Online Schooling fees are as low as $3,380 AUD per year. Online schooling is a form of homeschooling. Students are taught their chosen subjects from the English National curriculum in small classes using Skype-like software. Classes last for an hour and take place during the same time as a normal school day. Qualified and experienced teachers meet with students face to face, set and mark weekly homework tasks, and review their progress in termly parent consultations. Yes, pupils can enrol in as many or as little subjects as they choose, and at whatever level suits their needs. All lessons run to a set weekly timetable, and recorded. So, if pupils are unable to make a live class they will be able to watch the class recordings to catch up on the lessons they missed. Is online schooling the same as distance learning? While online schooling is taught from a distance, and students are expected to be independent, they do not teach themselves. They are taught live, in real time, in small classes by qualified teachers who know them individually and support them in their educational journey. They are part of a thriving and international school community. Is online schooling a proper education? Yes, full time online schooling provides a complete education, following the English National Curriculum and iGCSE syllabus with the Pearson-Edexcel examination board. The education students get is the same as they would receive in full time lessons in a physical school. Can we access it from a remote or rural area? Yes, as long as you have a stable internet connection and access to a computer, laptop, or tablet. The details of this vary from country to country, so it is important to research the legal requirements of the country you reside in. In Australia, each state and territory have their own set of legal requirements for homeschooling. If you wish to homeschool, you must register by applying to the state or territory in which you reside. It is legal in the UK, where the head teacher of the child’s school must write a letter of approval to allow them to be home educated. What does a typical day look like in an online school? The student logs on early in time for their lesson and is greeted by their teachers and classmates in a Skype-style online classroom. They use a headset with built in microphone to interact with the lesson, often delivered by a powerpoint presentation, and are set homework at the end of the hour. Does online schooling work for students? For many of our students who have been bullied, experienced difficulties with their special educational needs, or moved abroad, online schooling has been the solution. This has enabled them to love learning again, and most importantly, become happy in school. In the academic year 2017/18, our students also achieved highly, with a 100% pass rate at iGCSE, and 85% of pupils gaining an A-C grade. You can read more of our testimonials here. Is it a good quality education? We teach the English National Curriculum and offer iGCSE with the Pearson-Edexcel examination board. All 21 of our teachers are qualified and experienced and have worked with students with Special Educational Needs (SEN). To offer students the best possible education we provide 264 live classes a week, 20 subjects, and last year students achieved a 100% iGCSE pass rate. In order to keep distractions down to a minimum, all class sizes are kept to a maximum of 20 pupils per class. This bespoke, face to face contact with teachers is just like a traditional school where homework is given after each lesson, and work is marked by teachers each week. Online schooling works for a number of different young people. Many of our students have been bullied, are from rural areas, have special needs, become anxious attending mainstream schools, live in military families that travel, are athletes and have high training demands, or are expatriates. For these, the shorter school day, reduced disruption from smaller class sizes, and safe nurturing environment is what they need to support their education and grow in confidence. Students can sit their iGCSE examinations, and our teachers are with them every step of the way with a tailor-made support plan to ensure they achieve their best. What extra benefits or opportunities will my child get? Our students are part of a thriving online international community. In 2018 students from all over the UK attended a weekend of outdoor adventure activities and personal development in the beautiful setting of the English Lake District. As our community grows, we will be offering the same opportunity for pupils to join our school adventure weekends in Australia. Students are able to interact with one another on a social level, through our school common room. This gives them the opportunity to get to know one another, discussing topics of interest and hobbies outside of lessons. The common room is fully monitored by staff to ensure that all discussions and content is appropriate and acceptable within our set behaviour guidelines. Our teachers offer a number of extracurricular clubs and societies, including coding club and maths support, as well as one-on-one tuition, online counselling, and careers advice. This ensures a holistic approach to caring for each and every child, ensuring their needs are met, and that their growth as an individual is supported to enable them to thrive. If you think that online schooling could work for your child, we would love to invite you to do a free trial day with us, or book a call with us to discuss your child’s education today. For more information on My Online Schooling Australia, please enquire here. Classes will be commencing in early March 2019 and if there are any parents currently based in this part of the world would like to move across to these timetables, please get in touch!